The Today Show co-anchor on the benefits of live streaming directly to your audience. I love live-streaming apps and was at the forefront long before most. During last year’s Guinness World Record-setting live broadcast and Web event, I broadcasted and live streamed a weather report for 34 hours. In fact, when my audio guy inadvertently left my microphone on during a bathroom break, I was literally live streaming. You would think being involved in five hours of live programming every day would be enough for me. Between Wake Up With Al on The Weather Channel and The Today Show on NBC, I probably talk to more than 5 million viewers on a daily basis. So, why would I be hungry for more chances to be on screens across America? Because I can. Whenever I want and about whatever I want. Thanks to live video-streaming apps such as Periscope and Meerkat, I can. A couple of clicks and I am live to those who follow me, and more importantly, those who don’t. But to me, it’s not live for live’s sake. It’s an opportunity to give viewers a first look on their second screen of life behind the curtain, further strengthening my relationship with viewers and my followers. Before both shows, I will Periscope and Meerkat what’s coming up on the respective programs, giving folks an idea about what to expect with an intimacy and immediacy that no promo can convey. During my two shows, I live stream while the programs are in commercial break. Persecuting Matt Lauer about his fear of these apps or showing pictures of Savannah Guthrie’s daughter, known as the princess baby Vale, gives people an exclusive look at behind-the-scenes moments the average viewer cannot get. To me, Periscope and Meerkat are this generation’s version of the 1920s, when companies and individuals alike established radio stations. Some were solely for commercial use: To promote a product, goods, or services. Others used the nascent technology to entertain and inform with no clear-cut message or intent. I feel the best use of these live-streaming apps is a mash-up of both. I use them to promote my programs and try to have fun while doing it. And, if I can give people a reason to want to tune into the shows and, at the same time, increase awareness of my own personal brand, that is a bonus. That last part is key. Even in this day of YouTube, Instagram, Twitter, and Snapchat, among others, one thing still holds true: people watch screens for people. Sure, they love videos of cats playing pianos but what keeps them returning is people they like, relate to, and, to a certain extent, trust. By using Meerkat and Periscope, you can help your product, client, cause, or personal brand by increasing those metrics. Who doesn’t want to feel like they are part of something no one else is? These apps foster a sense of exclusivity and intimacy. I can promote the programs I’m on, build viewer loyalty, and let people see and hear things about me that the average viewer doesn’t get. Many times I will engage with viewers by showing them how I’m cooking something at home that I demoed on Today. The viewer gets another chance to connect and they get a glimpse of my personal life. During one Periscope session, they heard me yelling at my son Nick to put down the chicken he was trying to devour before dinner. But I have some rules I’ve developed for myself in the short time since I first heard of the apps at this year’s South by Southwest during a session by W2O Group. Keep it short. This is not Downton Abbey. Get on, give folks a chance to log in, then get off before you bore your followers and yourself. Also, keep it simple. What’s your message? You should have a point instead of rambling. Make sure you stay on topic. I’m not looking for history. I want to be part of a moment. It doesn’t have to be monumental, but I should feel like I’m sharing something. Also don’t overshare. I made the mistake of Periscoping a trip to the barber chair. Cutting edge? No. Just cutting hair and not much of it. Finally, keep it fun. Not everything has to be serious. I’m sure Periscope and Meerkat will be used for news events, but for me, I love the silly, the not so serious, and the enjoyment of the moment. So happy live streaming. And make sure your mic is off before you hit the head. 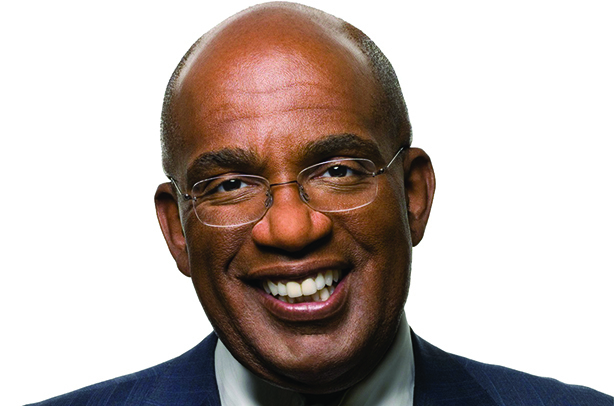 Al Roker is a co-anchor on Today and CEO of Al Roker Entertainment.